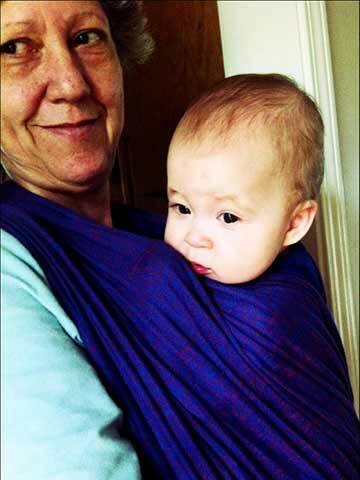 Babywearing grandparents: one of the big benefits of babywearing is that your baby can have his or her safe, cozy place, even when left with alternate caregivers…like grandma! 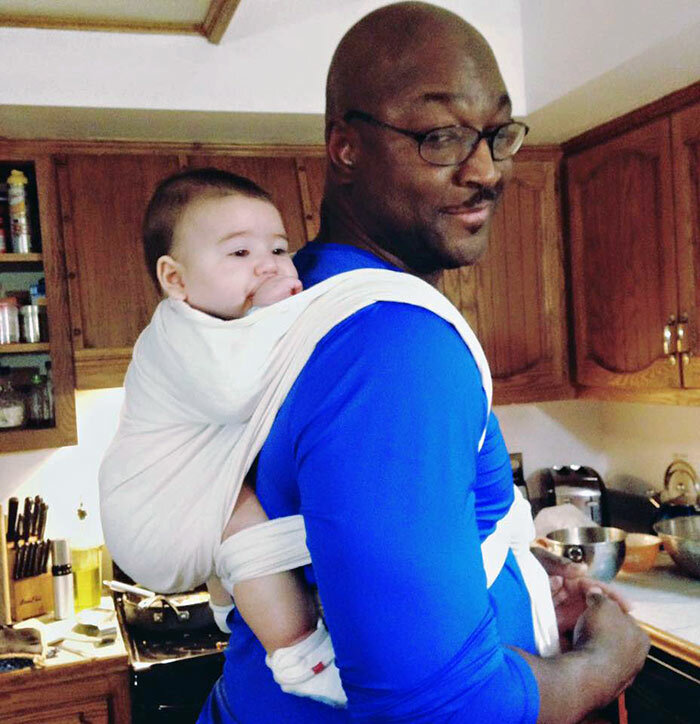 Wrapping lets your parents enjoy the same close bonding and communication with their grandbabies that you are used to having with your baby. 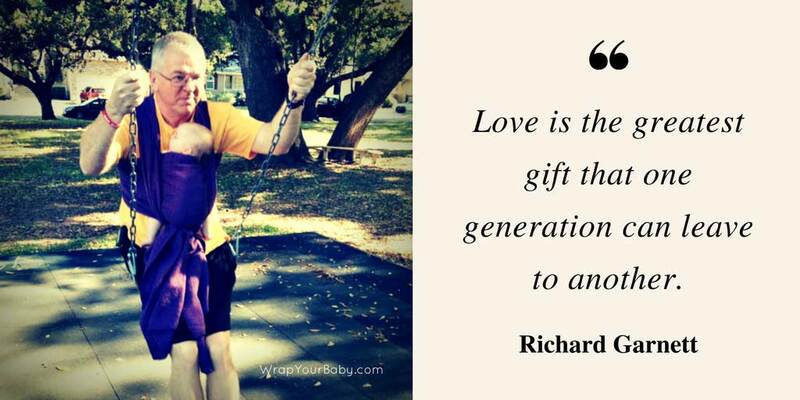 This helps to form strong, loving relationships with other adults in their lives. 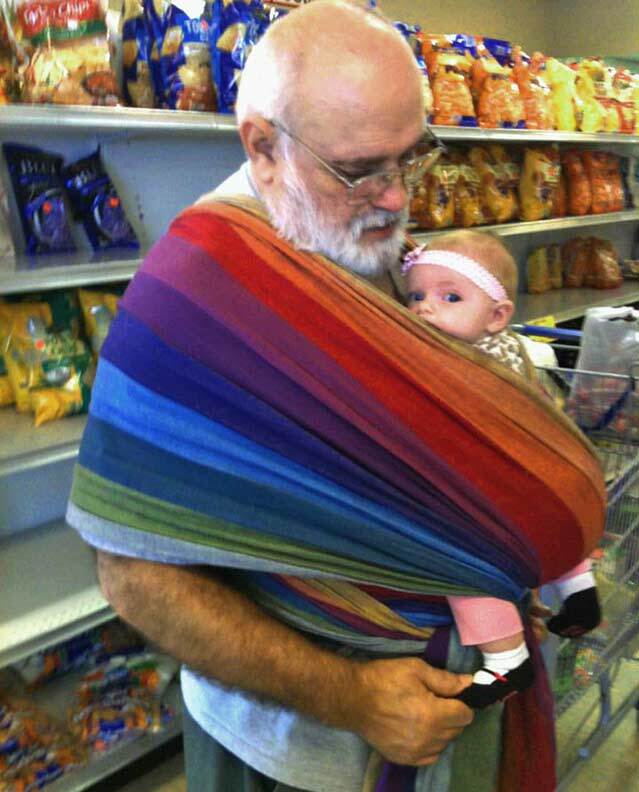 Babywearing grandparents benefit from the convenience of ditching the stroller and staying in perma-hug when watching the baby or toddler! 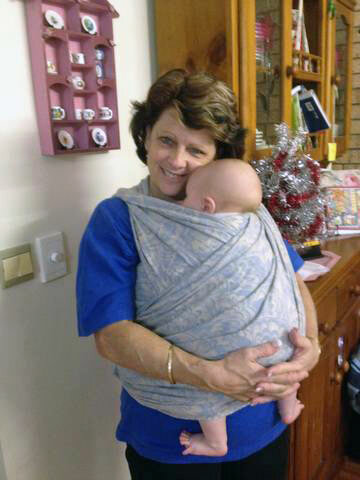 A woven wrap is perfect for switching between caregivers because it is a custom fit on everyone. 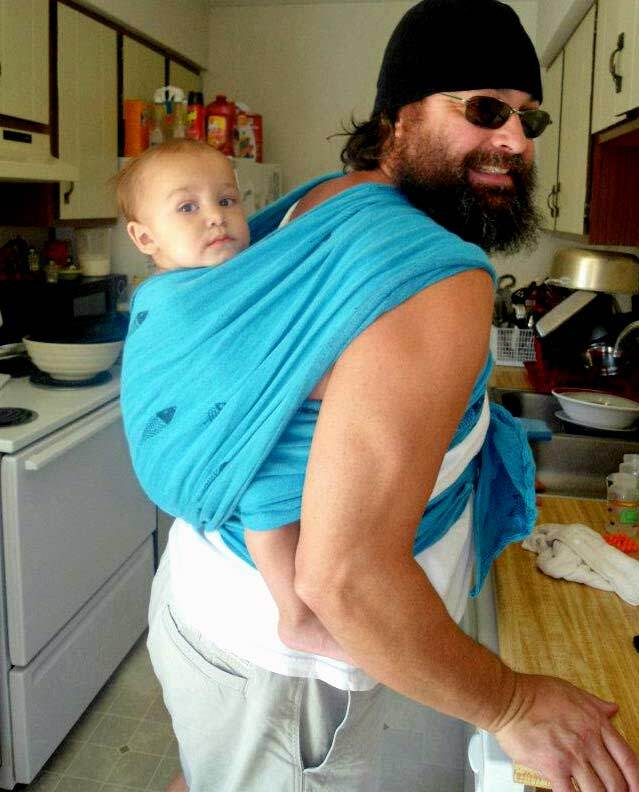 There are no adjustments or sizing for babywearing grandparents to worry about. 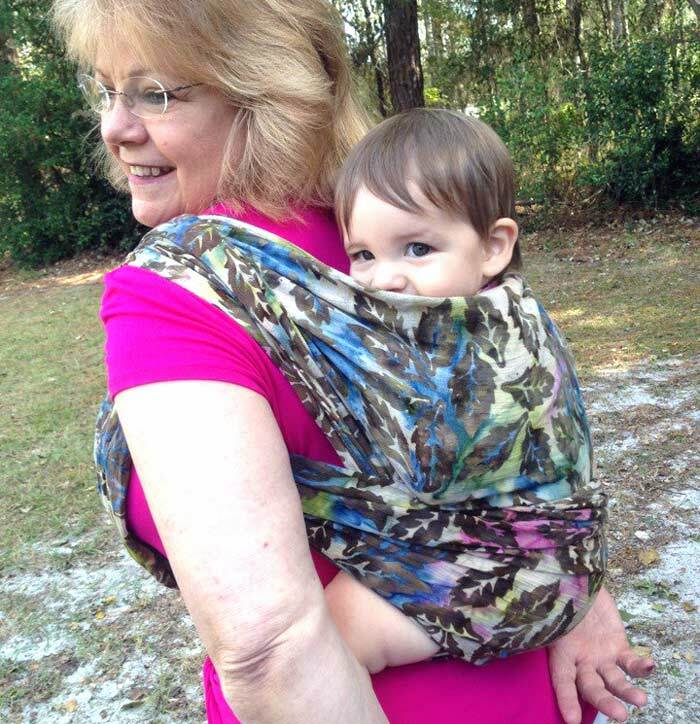 Each adult, even of different sizes, can use the same ONE woven wrap. 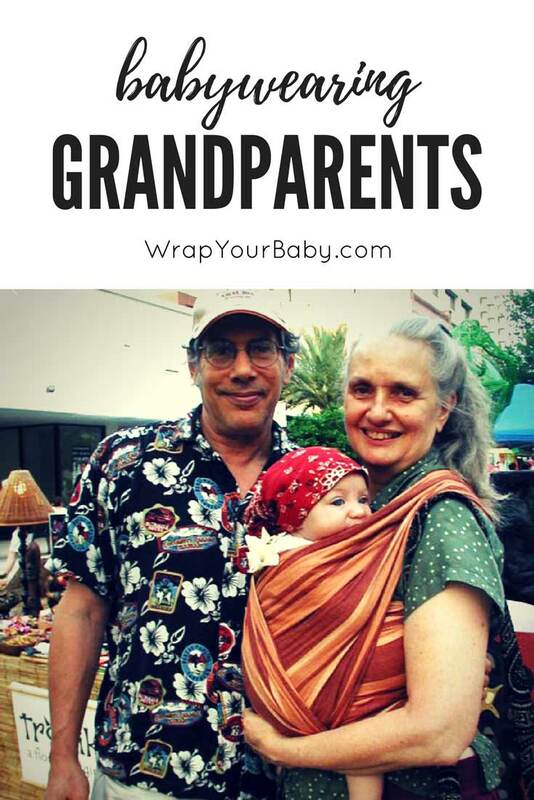 And grandbabies in woven wraps is one of this world’s great treasures.